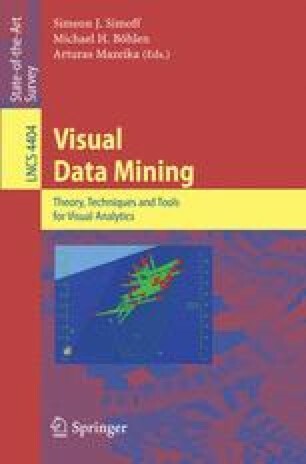 This chapter explores the extension of visual data mining by adding a sound dimension to the data representation. It presents the results of an early 2001 experiments with sonification of 2D and 3D time series data. A number of sonification means for these experiments have been implemented. The goal of these experiments was to determine how sonification of two and three-dimensional graphs can support and complement or even be an alternative to visually displayed graphs. The research methodology used the triangulation method, combining the automated generation of the sound patterns with two evaluation techniques. The first one included the assessment and evaluation of the sound sequences of the sonified data by the participants in the experiment via a dedicated server. The second one was based on the analysis of an evaluation questionnaire, filled by each participant that performed the tests. The chapter presents the results and the issues raised by the experiments.